Iin lukion kuulumisia: Mervi, Henri, Riikka, Rita, Sirje and Tanja travelled to Hungary. Mervi, Henri, Riikka, Rita, Sirje and Tanja travelled to Hungary. 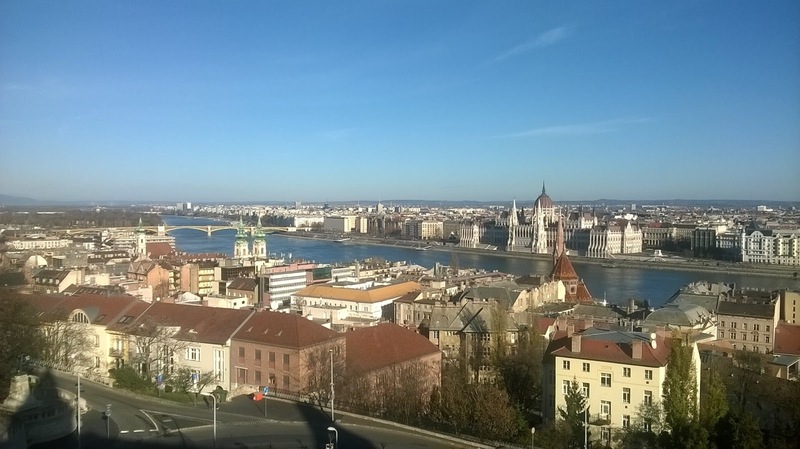 We arrived at Budapest about 10.50am. We were all very tired and we went straight to our host families. We all ate lunch and got a little bit of rest. We gathered together at 6pm at the Swabian Tradiotional House. There we had a kind of welcoming party. At the party we tasted some Hungarian foods and had some mulled wine. We also danced some Swabian traditional dances together. It was a bit difficult at first but we all had fun. 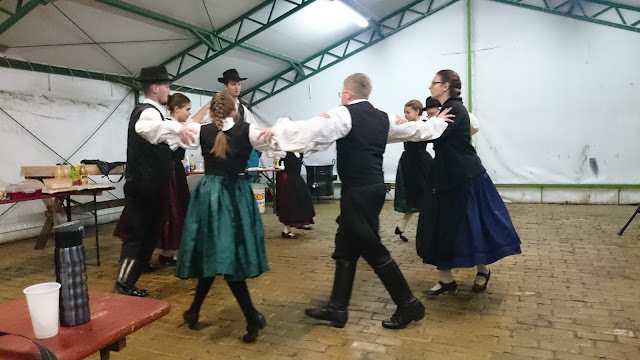 We also danced some Letkajenkka together after the Swabian traditional dances. In the morning we attented some classes with our host students. We had a little ''tour'' in the school and the Hungarian students showed us their school. The school building was quite old and much bigger than ours. In the afternoon we went to Budapest. There we went to see the Parliament House from the outside. It was enormous and very beautiful. After seeing the Parliament House we went to a christmas market. There were lots of thing to be seen and it was an ideal place to do some christmas shopping. The christmas market was really worth to visit. During the day there wasn't anything scheduled in the programme so we decided to have a little get-together at one of the student's home. We had a lot of fun by playing games and eating pizza. 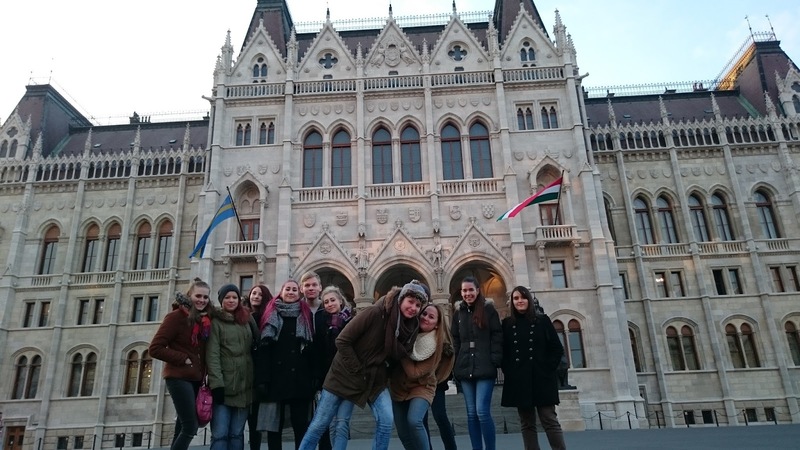 However, in the evening there was a ceremony for those in terminal classes at a culture house in Budapest. 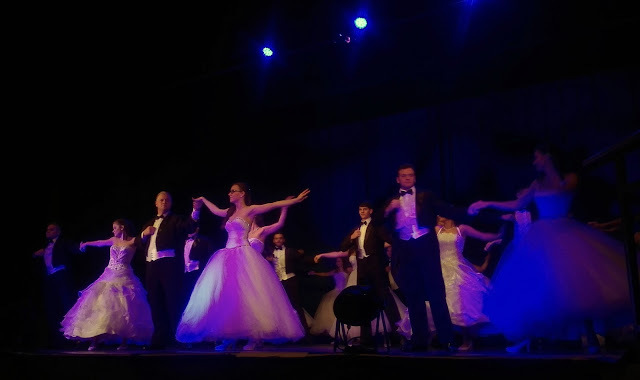 In the ceremony there was a lot of different dances by students and even some of the teachers included. 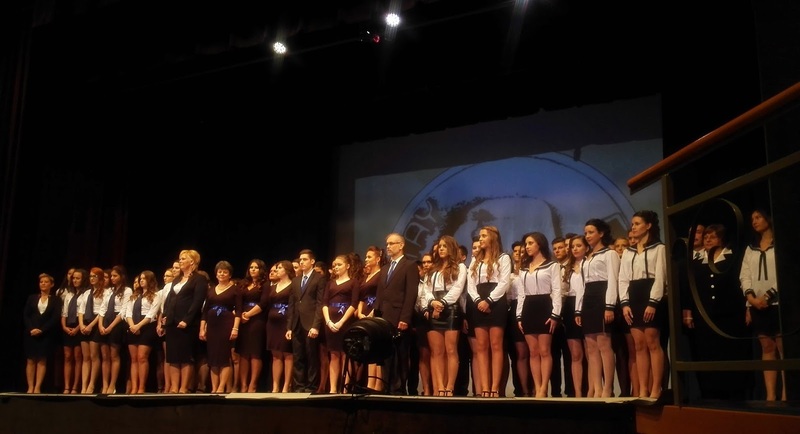 It was also a graduation ceremony kind of thing for the final-year students and there was videos where they looked back the years last-year students had spent in the high school. The ceremony was kind of like combination of wanhat, abiday and graduation party. On the morning we hopped into a bus and drove to Szentendre,Visegrád. 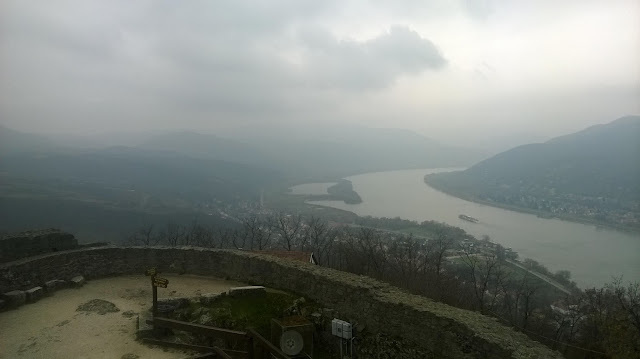 There we visited the castle of Visegrád and walked around the castle while looking at the beautiful Danube. 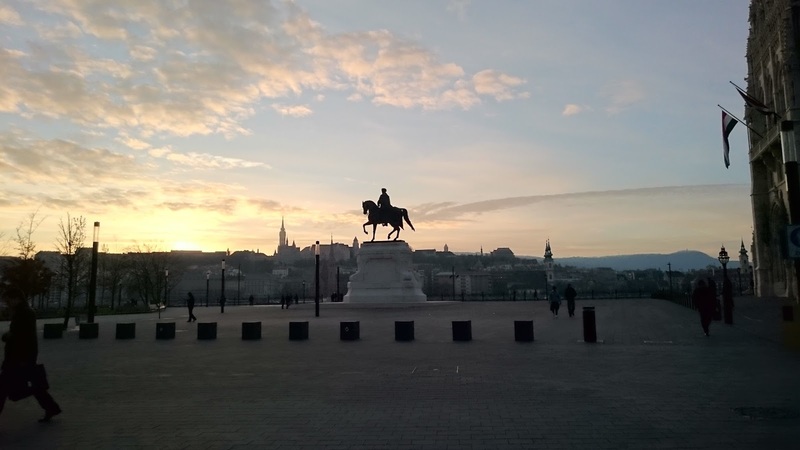 After the visit we headed back to Budapest and had a little sightseeing tour next to the most famous sights including heroes square. After a long and tiring day, we all just spent the evening with our host families. On Sunday we had a family day. One of us went to the castle of Buda, see a movie and also to dinner in Hungarian restaurant. Most of us went skating on the artificial ice in Budapest and also visited the castle of Buda. After these we went to the Budapest eye. On Monday we visited the school again and went to some classrooms to introduce ourselves and take any questions the students had to ask about us, our school or Finland in general. We also tried singing Joulupukki but failed miserably which probably wasn’t very good for our reputation. After that we went to have lunch with our teachers and then took a train to Budapest to do some shopping in a huge shopping centre. And we were obviously all very tired after another day of walking around and standing a lot in public transport. On Tuesday we went to the Hungarian heritage house in Budapest to see some Traditional Hungarian Folk dances, which turned out to be very different and interesting actually. There was a band playing traditional music and we also got to see the dancers in traditional Hungarian clothing. 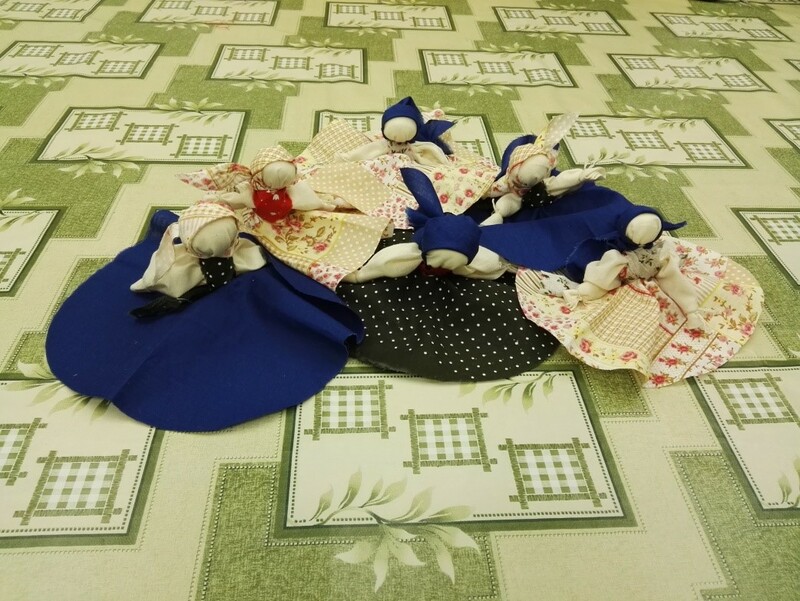 After that we went to a workshop to learn some Hungarian handcraft and got to make ourselves these dolls. 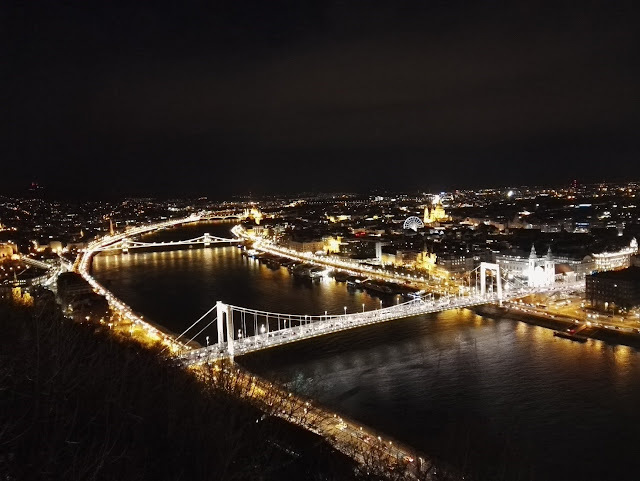 Later in the evening when it was dark we also walked up to Gellért Hill to the Citadella fortress and stopped to take some pictures in front of the Statue of liberty. From the top there was a panoramic view over the city which was absolutely amazing and definitely worth the hundreds of steps we had to take to get there. On Wednesday we went to the House of Terror. There we, for example, watched some video clips. We saw also some wartime stuff from World war. We walked around and saw how bad conditions the Hungarian captives had. After that visit we went to our hosts’ places. We rested and in the evening we had the farewell party at Tamara’s place. The whole crowd was gathered together and we had a good time. We talked, listened to music and played billiards for example. On Thursday morning we left our places and went to the airport. Everything went well and we said good-byes. Flight went well and when we arrived back to Oulu, we were faced with a snowy landscape.